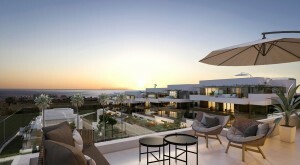 Estepona Real Estate, Marbella Real Estate, property, villas, apartments for sale in Sotogrande & Costa del Sol. After previous dealings in Estepona, we found Trevor not only helpful , but honest and a pleasure to do business with. Not pushy in the least and a great advertisement for his business. We both look upon him as a friend now and even though the sale went through 4 months ago, he is still always available for advice and help with our purchase at Alcazaba Beach. After previous dealings in Estepona, we found Trevor helpful , honest and a pleasure to do business with. Not pushy in the least and a great advertisement for his business. We would like to recommend Jelga and Trevor as two dynamic and service-minded people. Hard to find these days: positive and enthusiastic people who are always there for you and help you during the whole search and buying process. Also after we bought they helped us with all kinds of different things. Because of Jelga and Trevor the purchase of our apartment in Estepona was a great experience! We would like to recommend Jelga and Trevor as two dynamic, positive, and very service-minded people. 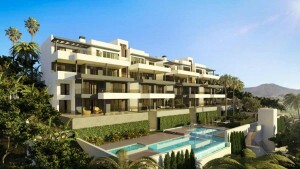 A great relief during the purchase of our apartment in Estepona! You hear the strangest stories about buying a house abroad� But thanks to the reliable and professional advice and guidance of Trevor Reavill and Jelga Akkerman our story became a great success! 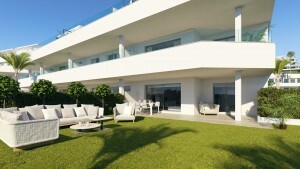 We enjoy our fantastic beautiful house on a heavenly location under the Spanish sun in Estepona. Interior Designer Erwin Hamming-Scott helped us with ideas and furniture in such a way that our Estepona house became a real HOME!! You hear the strangest stories about buying a house abroad. Thanks to the reliable and professional advice and guidance of Trevor Reavill and Jelga Akkerman buying our house in Estepona became a great success! We have known Trevor and Jelga for 6 years now, which is when we purchased our first apartment in Estepona. To buy and furnish an apartment in another country is extremely stressful, however with the help and guidance from Trevor and Jelga, this made the process far easier. The professional service we received 6 years ago resulted in us purchasing a our second apartment two years later. Trevor and Jelga are not just business acquaintances, we regard them both as our friends. Estepona is one of the most sought after locations on the Costa Del Sol and has retained its Spanish heritage. With pretty plaza's, great restaurants and award winning beaches Estepona is ideal for couples and families. 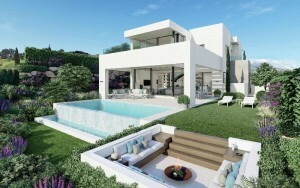 Particularly easy to have people to guide you in the purchase of a property in Spain. Who can assist and guide you through the Spanish system, especially if you don�t speak the Spanish language sufficiently. Jelga and Trevor are also there for once you are already settled and still have questions or need their help. Their involvement continues and you can always count on them. 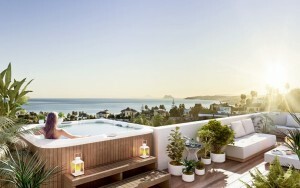 We highly recommended them to anyone considering to buy a home or vacation home in the Estepona area..
Jelga and Trevor are also there for you once you are already settled and still have questions or need their help. Their involvement continues and you can always count on them. Highly recommended. About our contacts with Jelga and Trevor we can be brief. Also, in fact, long... As there would be a lot of nice words we could say about these special people. But to briefly summarize: We could not have wished for better, warmer, more professional and more reliable people in Estepona. Thanks to their guidance we look back at a fantastic time in Estepona! We could not have wished for better, warmer, more professional and more reliable people in Estepona. Thanks to their guidance we look back at a fantastic time in Estepona! Jelga and Trevor are people who have assisted us in every possible way during our house search in Estepona. Not only to find the best location or house for us, but also with many other things that come with it, such as a lawyer, notary, bank, furniture, curtains, etc. They have shown us what there is to do in and around Estepona (restaurants, events, nature etc.). The whole package. Should there be a next time we will certainly use their services again. Jelga and Trevor are people who have assisted us in every possible way during our house search in Estepona. The whole package. Should there be a next time we will certainly use their services again.